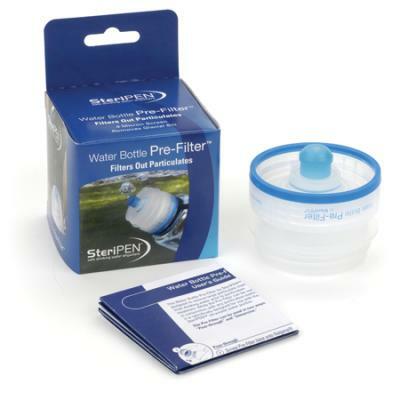 When clear water is not available, use the water bottle Pre-Filter by SteriPEN. The Pre-Filter filters out particulates and debris. Fits on Nalgene® and other wide-mouth water bottles. Replacement screen also available.